At least one in four American children will experience bullying at some point during their school years and children with disabilities are twice as likely to be bullied, according to the National Center for Education. Even those who are bound for celebrity status as award-winning actors can experience bullying. “Growing up, my disability made me a target for bullies,” says RJ Mitte, who portrayed Walter “Flynn” White Jr. on the AMC series Breaking Bad. Like his character, Mitte has cerebral palsy. A former patient of Shriners Hospitals for Children(R), Mitte has partnered with the organization to promote its 2017 #CutTheBull anti-bullying campaign. Twenty-eight percent of children in grades 6-12 say they’ve been bullied, and 70 percent of young people say they’ve witnessed someone being bullied at their school, according to the U.S. Department of Health and Human Services (DHHS). While cyber-bullying grabs headlines, it’s actually the least common type of bullying; verbal and social attacks are the most common. Bullies tend to target children who are perceived as different, which is why children with disabilities are at greater risk of being bullied. Physical vulnerability, appearance and social or emotional difficulties, can make children with disabilities easier targets for bullies. Standing up to bullies is the best way to stop bullying, experts agree, whether the person who stands up is the victim or a bystander. In fact, when a witness to bullying speaks out, the bullying stops within 10 seconds, 57 percent of the time, the DHHS reports. Parents should teach (and model) the three R’s of anti-bullying: Respect, Reach Out and Respond. Children should try to look beyond differences to see and respect everyone’s abilities and value. They should talk to, get to know and include someone who may be different, or who is being treated differently. Finally, if they witness bullying or experience it themselves, kids should speak out and tell an adult. Help children identify ways to respond to bullying, either as the victim or as a bystander. For example, children who are being bullied could choose to walk away and ignore the bullying, calmly tell the bully to stop, or act bored and disinterested in the bully’s words. Children who witness bullying can tell the bully to stop or inform an adult. Encourage children to take up activities they enjoy and that give them an opportunity to meet others with similar interests. Activities can help children build their self-confidence and create friendships that will help protect them from being bullied. Help children understand that bullies are looking for an emotional response from their victims. Acting confident not only helps children feel more confident, it can deflect a bully’s interest. Practice confidence-building and calming exercises with kids, such as taking a break when they’re feeling upset or breathing in and out to relieve stress. Research bullying policies in your school and anti-bullying laws in your state, so you know what resources are available to you. 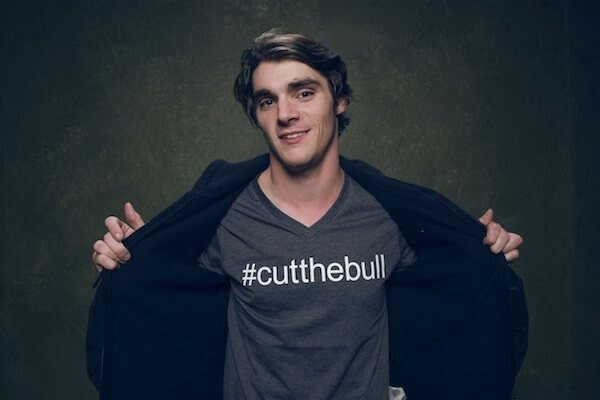 To learn more about how to prevent bullying and download anti-bullying tools, visit cutthebull.org.